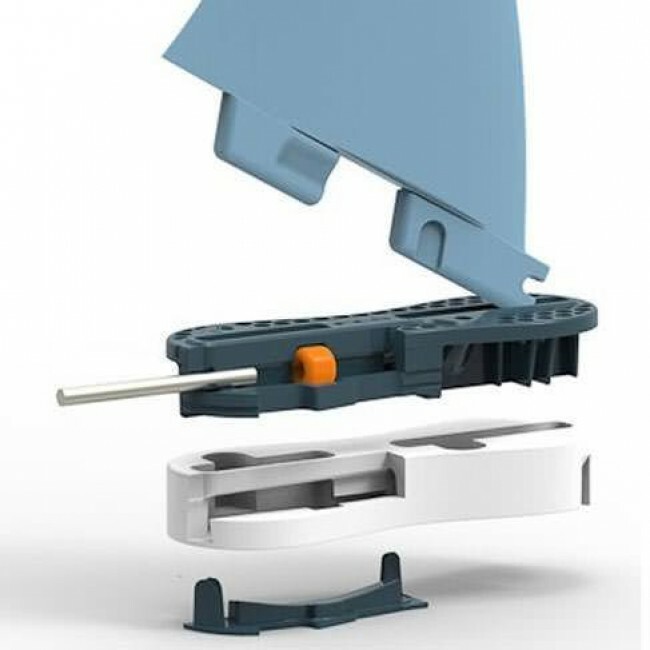 FCS continues to develop fin technology with the state-of-the-art fin construction known as Neo Glass. Providing powerful, drawn-out turns, this template excels on open face waves. 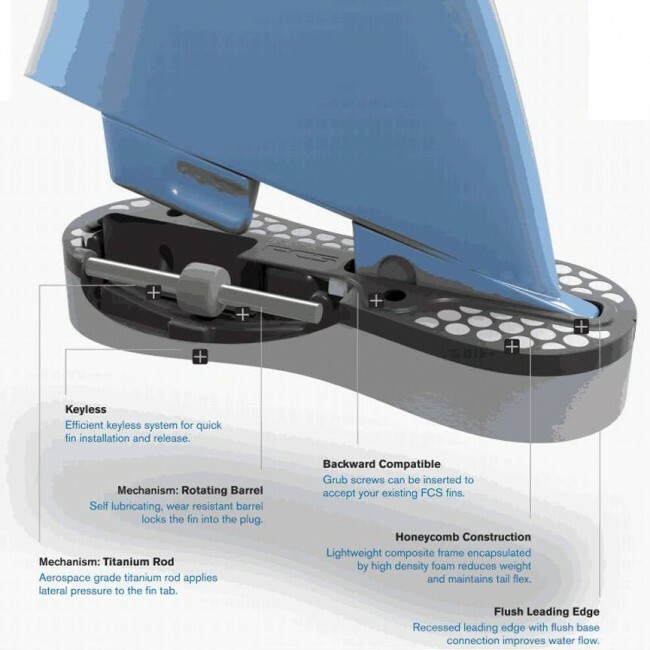 Neo Glass draws on a precision engineering process and a unique combination of materials to produce a fin that delivers pro standard performance. 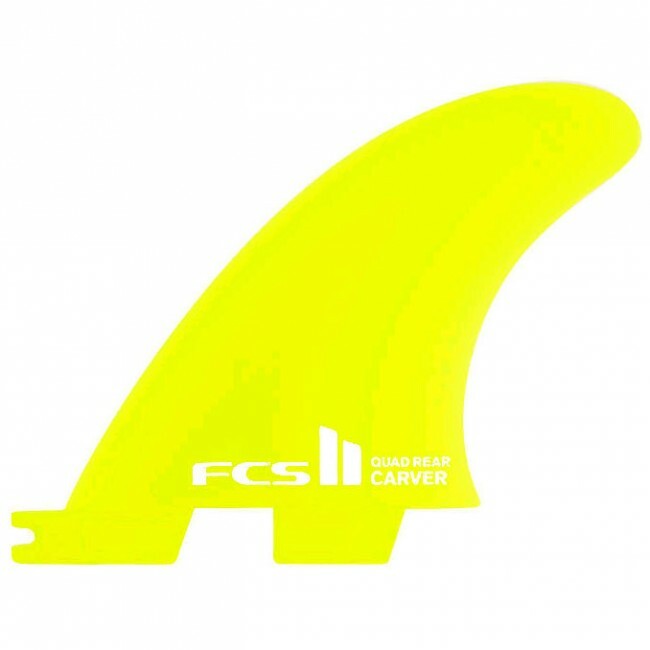 The FCS II Carver Quad Rears in Neo Glass are elongated fins for performing long arc turns. 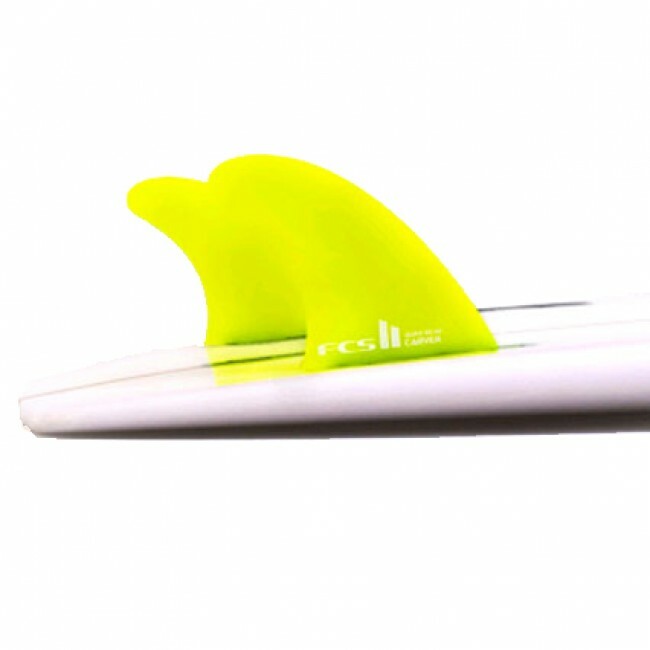 Designed for power surfers who like to push hard against their fins and draw out their turns, these fins have a high degree of sweep angle that provides exceptional control off the bottom and when carving on the open face.